This week, we picked up the newest issue of one of our favourite business magazines, Forbes. On its own, this is a pretty normal occurrence… but this time, we bought 10 copies. Why? Because Fon’s founder, Martin Varsavsky, was the cover story! In this edition, Martin discusses the launch of his latest startup, Prelude, which aims to “take the technology of infertility and aggressively expand it into fertility”, so that parents can successfully have healthy babies when they are ready. In typical Martin fashion, he has his sights set on reinventing an entire industry – and chances are, he will make it happen. This isn’t the first time Martin has been featured on the cover of Forbes. Back in 1999, after the launch of Jazztel, Forbes described him as “a brilliant and intensely focused man who is providing Europe with a model of very U.S.-flavored entrepreneurialism.” Fast forward to 2016 and that statement couldn’t be more true. In fact, it is this innovative, entrepreneurial ingenuity that not only created Fon, but made it the international success it is today. Martin founded Fon in 2006 with the goal of creating a crowdsourced, global WiFi community. He spent nearly 10 years turning the WiFi sector on its head, and we can’t wait to see what he does with Prelude! And just like Martin, Fon has also turned to the next chapter. In 2015, Fon became a profitable company and hit 15 million WiFi hotspots worldwide. With this success, and ready to fully dedicate his time to Prelude, Martin handed over the reigns to our CEO, Alex Puregger. Since then, Fon has hit many new milestones. In 2016 alone, we expanded into new territories, including eastern Europe with Hungary’s Magyar Telekom, and Australia with Telstra – and more locations are on the way! We have also launched a best-in-class WiFi technology platform, specifically designed for carriers and service providers. And we now clock in at 20 million hotspots, growing over 30% since last year. 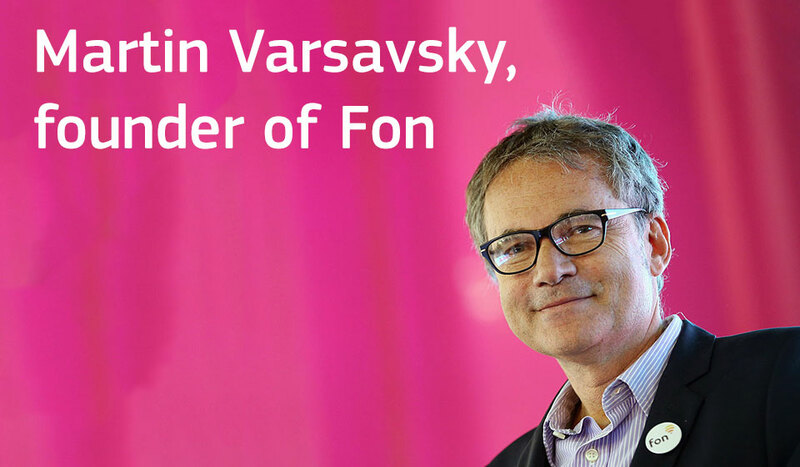 Although Fon is always evolving, there is one thing that hasn’t changed – and that is the innovative spirit that Martin Varsavsky instilled in our values from the very start. It’s what drives us forward, and it’s behind everything we do – it’s what we like to call “the Fon way”. So congratulations, Martin, and thank you for continuing to inspire us with all that you do! Check out the Forbes article to learn all about Prelude and Martin – we are pleased to say that you will also find a bit of Fon’s story in there as well! Stay updated on the latest happenings at Fon by following us on Twitter, Facebook, and LinkedIn!